Big Power in A Small Package: The PocketJuice Endurance AC portable charger has a 4,000 mAh capacity and will deliver up to 1.5 extra charges to your device with a high-speed USB port and 2.4-Amp output. The hidden Micro-USB charging cable built into the unit is perfect for fueling Android devices effortlessly. Tough, Long-Lasting Endurance: The PocketJuice Endurance AC is designed to fit your life – that means being tiny enough to fit into a small purse or pocket at just 4.4″ x 2.4″ x 0.62″ inches, and super-lightweight at just 4.4 ounces. 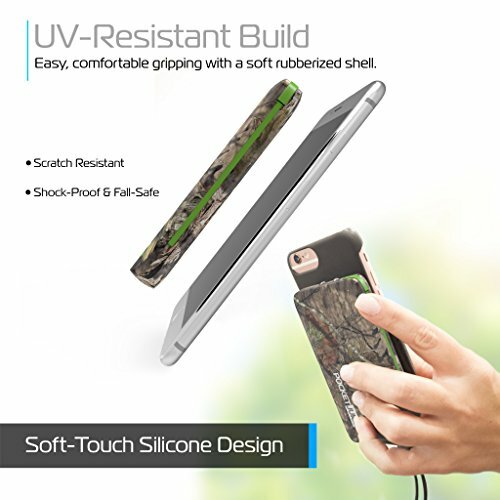 This rugged power bank is also encased inside a protective UV-resistant shell, which is resistant to heat and impact, making it perfect for travel or the daily commute. A QuickChip chipset regulates the power flow, giving you a safe and streamlined charge. 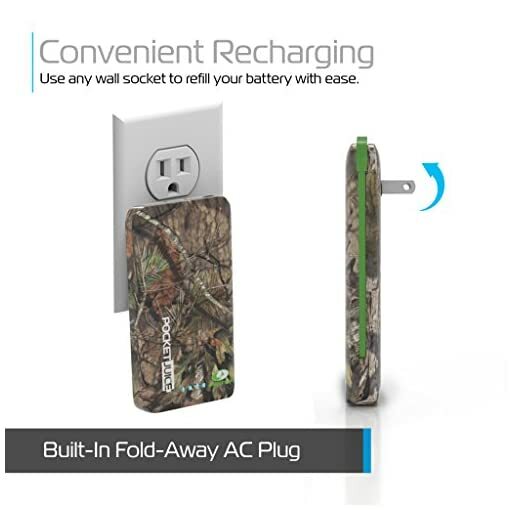 User-Friendly Design: The USB slot on the PocketJuice can be used to charge any Apple or Android device with your own cable, while the folding AC wall plug built into the charger can be inserted directly into a wall outlet to charge up or remain tucked away when not in use. All PocketJuice models include a handy battery monitor with 4 LED lights to indicate when you’re running low on Juice. 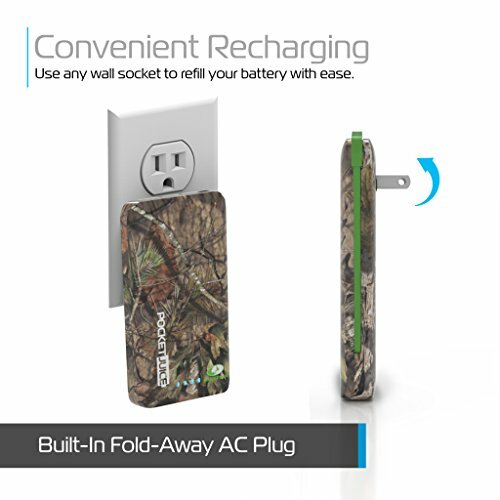 All you need is 5-6 hours and your favorite handheld charger is ready to power devices for days! 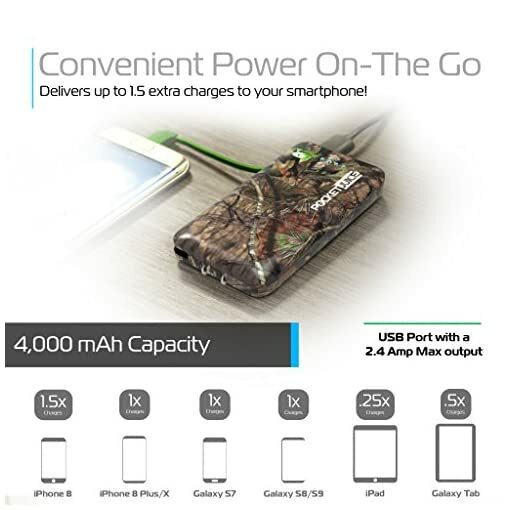 With tzumi’s 4,000 mAh PocketJuice Endurance AC Portable Charger you can take all of your smart devices and other electronics on the go and keep them fully charged all day long. Despite being super-slim and extremely lightweight, this external battery power bank has a high enough capacity to charge gear multiple times over and will fit in small bags and pockets with ease. Recharging is just as easy: wherever you have a free AC wall outlet, you can plug in to fuel up at your convenience. tzumi’s PocketJuice Endurance AC Portable Charger is one of the fastest phone and tablet chargers on the market. 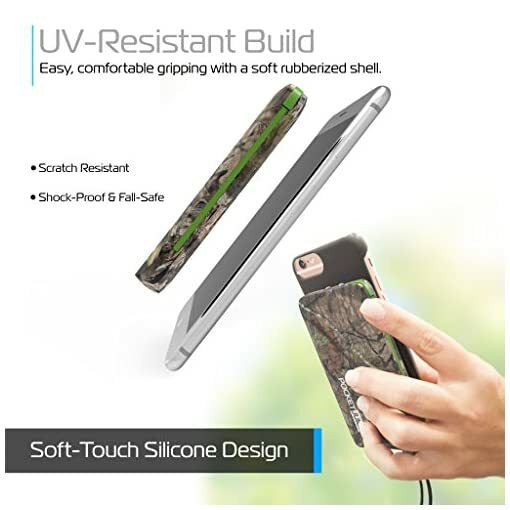 It comes pre-charged and is built with a powerful military-grade high-performance rechargeable lithium-polymer battery, which charges compatible devices quickly and efficiently to keep them fully charged and performing their best. We have engineered our portable chargers with a protective casing that keeps the internal components safe and performing at their best for a fast, durable, and streamlined charging experience that you can always rely on. 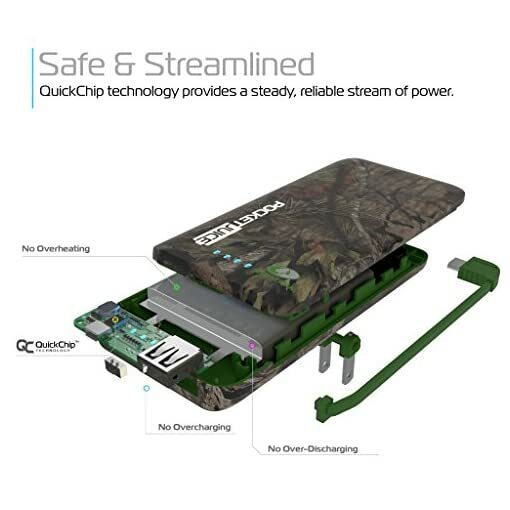 Each PocketJuice AC model is equipped with QuickChip technology, which regulates the power levels to ensure protection from over-charging and overheating, which can cause long-term damage to your device. Additionally, you can quickly and efficiently read your battery level through the 4 LED indicators for added peace of mind. Wherever you go, PocketJuice has you covered. 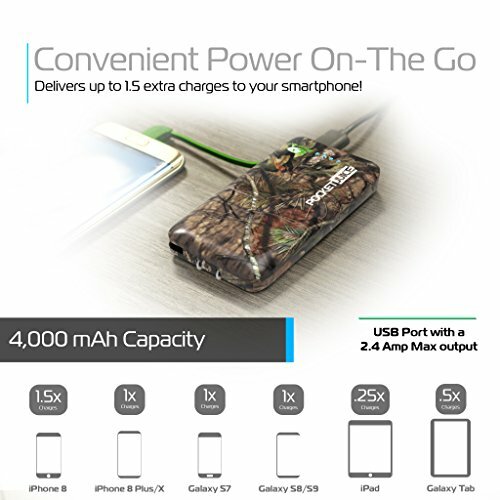 Universal Compatibility: Charge almost any smartphone or USB device with your PocketJuice; both Apple and Android devices can be charged, including your new Samsung Galaxy and iPhone models. Note: To use your PocketJuice Endurance Slim AC with Apple devices, you must provide your own Apple Lightning-to-USB cable. The charger already provides a Micro-USB cable for immediate use with compatible devices. The tzumi Promise: At tzumi, we are committed to providing you with the very best in consumer electronics products. 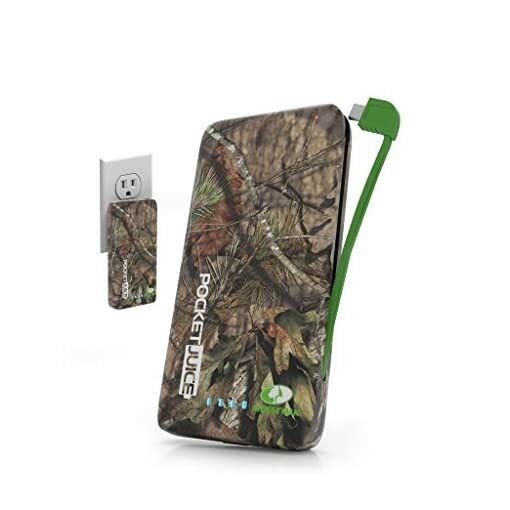 We’re convinced you will be happy with your PocketJuice Endurance AC portable charger, but if you are unsatisfied for any reason, please contact us directly so that we can be of assistance and make it right.